Metadata is used by GeoTools to describe GeoSpatial information and services. 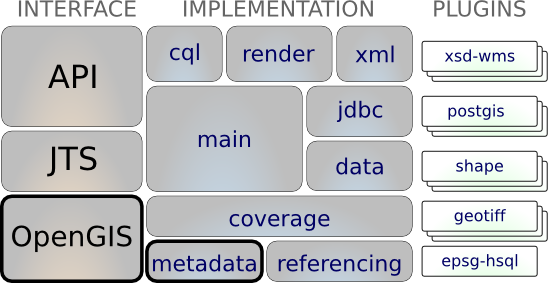 The data structure is an implementation of ISO19115 (for metadata describing spatial data). The gt-metadata module also pulls double duty as the first implementation module it is responsible for providing the facilities we use to wire the library together at runtime.